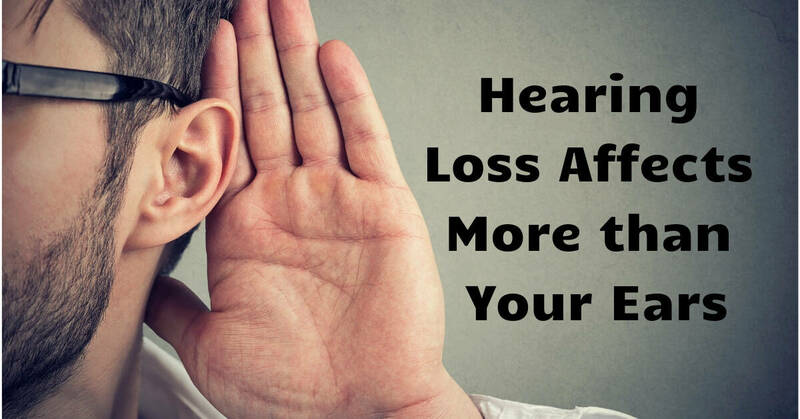 A recent study has found ample evidence that hearing loss is related to many negative health outcomes. We have known for some time that hearing loss is connected to anxiety, depression, and cognitive dysfunctions such as dementia and Alzheimer’s. Yet, a recently study published in JAMA Otolaryngology-Head & Neck Surgery gives more evidence as to the relationship between hearing loss and co-morbidity conditions. With more than 50% of adults over the age of 60 experiencing hearing loss, these related health outcomes cannot be ignored. Though hearing loss is a troubling condition on its own, these other conditions make it even more important to pay attention to your hearing health. Getting annual hearing tests, wearing hearing protection, and seeking out assistance in the form of hearing aids are all ways to ensure your hearing health with the added benefit of preventing these associated comorbidities. The study was conducted by Jennifer A. Deal, PhD, from the Department of Epidemiology and the Cochlear Center for Hearing and Public Health at the Johns Hopkins Bloomberg School of Public Health and the Johns Hopkins Department of Otolaryngology-Head and Neck Surgery, Baltimore, Maryland. Along with her associates, the study used administrative claims data from over 200,000 adults. Those who were over age 50 and did not report using hearing aids were used as the data set for incidences of dementia, depression, accidental falls, nonvertebral fractures, acute myocardial infarction, and stroke over the span of 16 years. The study discovered co-morbidity with each of these other conditions, meaning that those with untreated hearing loss had higher incidences of these other conditions than those who did not have untreated hearing loss. The highest relative risk came for depression and dementia. Although this statistical study was able to identify the instances in which two conditions occurred at once, it was not able to explain why hearing loss was related to so many other health outcomes. Many speculate that the link between hearing loss and the two most significantly related conditions of depression and dementia has to do with social isolation. Those who suffer from hearing loss have a tougher time communicating with others. As you might expect, the ability to clearly hear others is essential to feel comfort and ease in the conversational process. This basic inability to easily talk can lead to many associated problems. Those who trouble engaging with others might become anxious about the prospect of a social encounter. Whether a big party, loud dinner, or simply a trip to the store, this anxiety can lead some of those with hearing loss to prefer to stay at home rather than risk an awkward situation in which they cannot understand what others have to say. When a person prefers to stay at home rather than engage with others, the effects on mental health can be devastating, including higher reports of depression. The connection with dementia may work in much the same way. Cognition occurs through interaction with images, text, and other stimuli, but one of the primary cognitive encounters is face-to-face conversation. When a person engages in spoken conversation with someone else, hearing is essential to put together sounds into intelligible meaningful sentences. Without the ability to hear what another person is saying, the units of speech can become fragmented into meaningless sounds. The puzzle of communication becomes impossible to put together, and the mind scrambles to understand, becoming thoroughly confused. Some guess that the link with dementia has to do with this confusion spreading to other areas of thought beyond the spoken conversation. The evidence of co-morbidity with such an extensive list of conditions, makes it even more important than ever to contact a hearing health specialist for a hearing test. Whether or not you believe yourself to have serious hearing loss, it is a good idea to get a baseline hearing exam to discover the places where your hearing might be weaker than others. With this information in had, you’ll be able to receive assistance or treatment, as well as a plan for future assistance should it become necessary. Call us today at Pacific Northwest Audiology to schedule a hearing test, and prevent some of these other devastating health risks further down the line.